Four detention-bound high school students with nothing in common get transported into a video game, and have to play (and win) to get out alive. 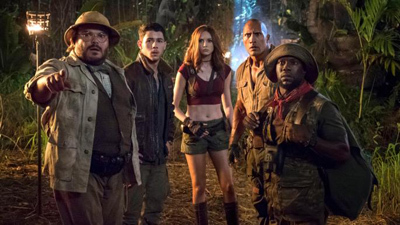 Jumanji: Welcome to the Jungle, starring Dwayne "The Rock" Johnson, Jack Black, Kevin Hart and Karen Gillan, was a sequel 22 years in the making. It was a box-office holiday hit, earning over $950,000,000 worldwide. You may know all about the "missing piece", but how well do you know Jumanji: Welcome to the Jungle?